Bowling - check out specials, you can bowl for $.99! I don't know if we'll do all of these things but at least I have a list I can check and see what we can do or what they might want to do. It looks like most of these places have a variety of activities for children of all ages. 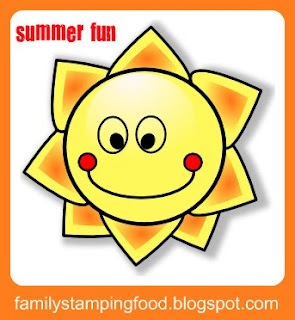 I'll share what we do under my new "Summer Fun" button. Isn't it cheerful!?! Do you have any suggestions for our area in Georgia? I don't know if your area has it but try www.kidsbowlfree.com it is a site where you can sign the kids up for FREE 2 games of bowling per DAY all summer long. It's not a scam we've been bowling 5 times in the last 2 weeks. You do have to pay for shoe rental. And for $25 you can sign up 4 adults to bowl all summer long too. It's just a one time $25. It's a great program. Sadie and I did the free admission to the Children's Museum downtown and it was fun, but be prepared to wait for 2 hours in line so if you go, bring snacks/water etc. It's the second Tuesday of each month.